Bedtime is a peaceful time for winding your little ones down and off to sleep. What better way to end your day by reading a bedtime story to send your children off to sleep. 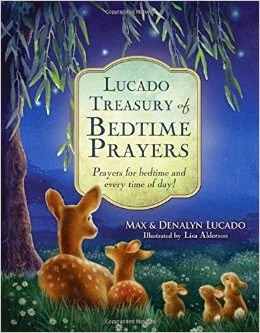 Max Lucado's Treasury of Bedtime Prayers is a beautiful padded hardcover book with 160 pages of prayers, poems, and verses. The prayers are written in a rhyming type fashion which makes them catchy and easy to memorize. Lisa Alderson completes the collection with her beautiful art illustrations throughout the book which is soothing to they eyes. The introduction letter in the beginning of the book by Max Lucado and his wife Denalyn Lucado go over the importance of teaching prayer to children. My daughter and son simply loved this treasury of prayers and we read them anytime (not just at bedtime). If you are looking into introducing your children to the act of prayer this book makes teaching the power of prayer with children easy. With introductory stories and 20 all new prayers by the Lucado's that are for today's young reader this is sure to be your new bedtime/anytime classic for years to come! This book would be a great gift for anytime but Easter is coming up and this would make a great gift to include in your Easter baskets! 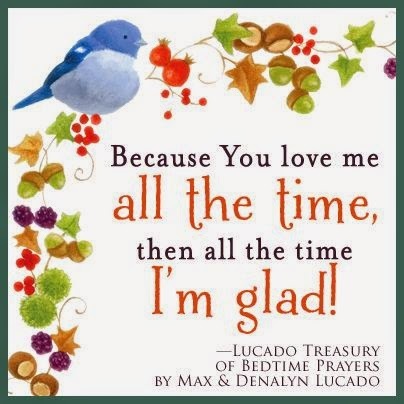 Find Max Lucado's "Treasury of Bedtime Prayers" at Family Christian for only $13.99 (sale ongoing) clicking here. *Disclosure - Thanks to Family Christian for the opportunity to review, the review is my own honest opinion. 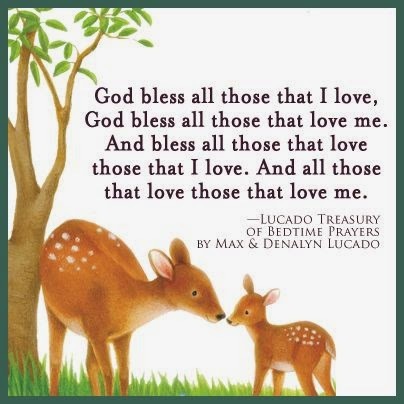 Prayer images from Max Lucado's Pinterest Board.